Prayers Unfocused? 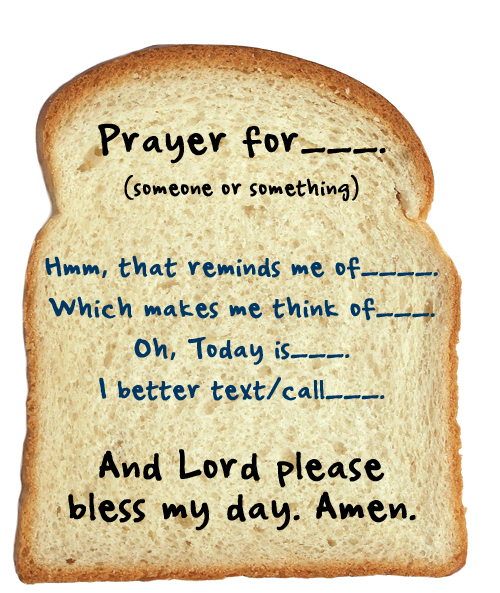 Try Praying…like this. My unfocused prayer sessions were bugging me so much that one night I even brought it up to my wife as a prayer request. The next day as I was about start my prayer time I tried something different. Instead of softly mumbling my prayers to God, I made them loud. Not only did I make them loud, I actually stirred myself up to speak them as if they were actually really important, as if they were urgent, and as if they really mattered! Not surprising, my prayer time not only lasted longer but it was more focused. In several places the Gospels record Jesus retreating to solitary places to pray but most likely his prayer times weren’t quiet. In the passage from Hebrews, the Greek word behind the translation for ‘loud’ is ischuros, and it can mean strong, powerful, mighty or robust. In other words, Jesus wasn’t praying some monotone quiet prayers; he was praying with loud passion. If you can relate with being easily distracted in your prayer times then try some ischuros prayers. If you’re not used to praying loud prayers, you may need to drink some coffee or walk around on your first attempt but you may also be surprised at how easy it comes. And just as Jesus did, remember that your prayers are to Him who is able to save you from death. Amen! What are some out of the box things you do in your prayer and devotional times? Share them in the comment section below. I loved this post from Andrew Fouché of Olive Tree: the Bible Study App. I immediately thought of the seasons of motherhood (I should have said parenthood – sorry, Andrew!) when your children are very small and you barely have time to eat, sleep and breathe. Many times, I remember feeling rather unfocused at prayer, too! I liked this suggestion of Andrew’s to pray aloud and with passion! And an added benefit… your children not only see their mom and dad praying – they hear them as well. A child can’t have much better modeling than that. Thanks to Andrew for allowing me to share his post! Read the original here. P.S. If you have never checked out Olive Tree: the Bible Study App you really should! It offers a wealth of Bible study resources including study notes, commentaries, Bible dictionaries, sermons, maps, many Bible translations and much more. Many books and references can even be downloaded for free on your iPhone, desktop, iPad, Mac, Kindle, etc. And then you can sync them! I have found it extremely useful to have several portable resources at hand, whether I am at home or on the road. Additionally, the staff is friendly and helpful; the first time I contacted someone there he turned out to be a former homeschooler! I always love that. Well said, Beth! Thanks for sharing your thoughts! Dana – I am totally with you on this subject. I find that when I struggle to focus, I spend time just praying for the ability to focus! That prayer in itself has helped me realize what is most important…coming before the Lord in humbleness and repentance always leads me to the place I need to be…on my face at our Lord’s feet! Thank you for posting this…we all need a reminder that this is just a pilgrimage and we need to continually come before our Father with a heart that solely belongs to Him!